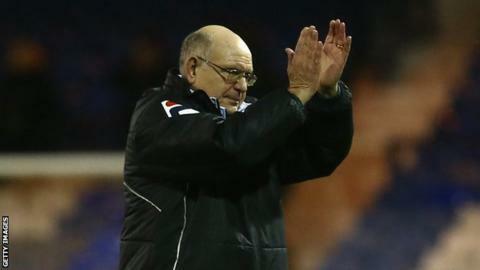 Luton manager John Still says his teams never seem to start well, after a winless start to the league season. The Hatters lost 1-0 to Bristol Rovers at the Memorial Stadium on Tuesday, and have picked up two points in three games so far in League Two. "I say this every year, my teams never start well," he told BBC Three Counties Radio. "Some teams start quickly, some start slowly, but it evens out. "I don't get too carried away with success or failure." Luton failed to score for the first time this season in their loss to Bristol Rovers, and Still voiced his concern at the performance. "Taking into account that we scored three goals against a Championship club in Bristol City and two against Oxford, I was surprised," he added. "In fairness to the forwards I don't think we gave them any supply. I'm not sure it's the right system to play when we want to take the game to the other team."